The rehearsal dinner, which is usually held after the wedding rehearsal and the night before the wedding ceremony, allows for family members and close friends to come together to support the couple in a way that is more personal and relaxed. 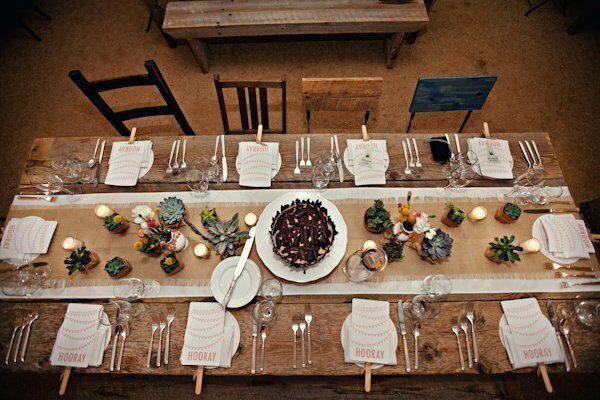 Looking for a unique rehearsal dinner idea? Although a traditional dinner at a sit-down restaurant is great, you may be looking for something a little different from the norm. Rethink the typical setting and go for something a little more creative. Here are our top 5 favorite dinner ideas everyone is sure to love! Food Truck Catering – Do you have a favorite restaurant on wheels? Host the party at someone’s house with tables on your patio under twinkle lights. Hire food trucks to cater the event for a laidback and enjoyable evening. Backyard BBQ – Host a stress-free outdoor feast with everyone’s favorite cookout dishes including: burgers, brauts, mac and cheese, potatoes, etc. You can also include backyard games such as bags. Bar Trivia Night – You can come up with your own trivia or hire a professional DJ to do all the work for you. Find a restaurant with a banquet room that serves pub food. TIP: Make sure the room is large enough for teams to split up comfortably. Park Picnic – If you’re having a wedding during the warmer months, opt for an outdoor picnic. Rent out a section of your local park and serve sandwiches and play lawn games. Taking it a step further, end the evening with a campfire and s’mores! YUM! Fondue Evening – Rather than a traditional sit-down meal, guests can mingle over a buffet-style dinner from fondue pots/fountains. Incorporate all different kinds of fondue from cheese to chocolate. This way guests can eat what they want, when they want. Make sure you have fun and do what you want! Whatever you choose to do for the rehearsal dinner, be sure to savor the moment. When looking to plan your wedding, Pez Productions can add to your creativity by providing you with complete wedding DJ services for the ceremony and reception. Back to School Time! Start Planning.